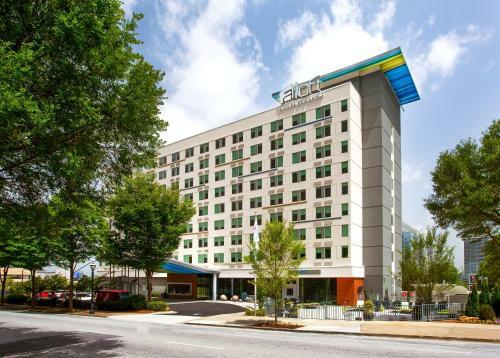 Free Wi-Fi an outdoor pool and a sleek restaurant and lounge with live entertainment please our guests at the hip pet-friendly Aloft Atlanta Downtown. Slumber in style at city-situated Aloft Atlanta where 10 floors house 254 rooms with platform beds and plush down pillows. Each room features free Wi-Fi a flat-panel cable TV a mini-fridge and a coffeemaker. Other in-room conveniences include desks with ergonomic chairs safes and designer toiletries. 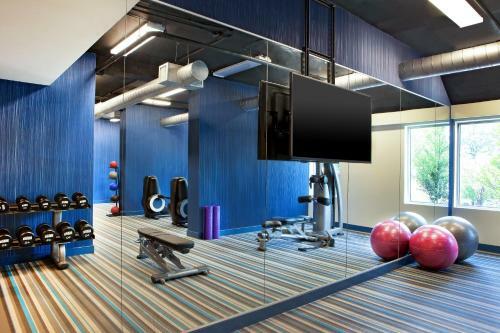 Head to the lounge for a cocktail and live entertainment when it's time to unwind work up a sweat in the fitness center or relax in the seasonal outdoor pool. There's also a laundry room a small market and a business center with meeting space. Pets are welcome with toys treats and a cushy bed to make them feel at home. Parking is available for an extra charge. 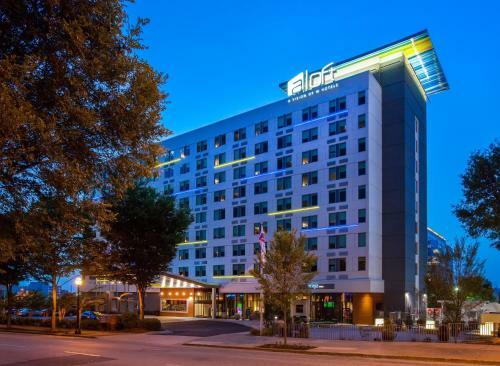 The Aloft Atlanta Downtown sits in the heart of the city within two blocks of the Georgia Aquarium the World of Coca-Cola Centennial Olympic Park and the Children's Museum. 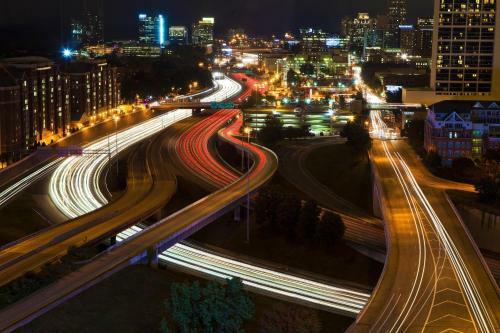 The hotel is two blocks from top shopping and dining at the Peachtree Center Mall and the MARTA subway is equally close. The Atlanta Market Center and Inforum are located across the street and CNN Studios are just a short 10-minute walk away. Hartsfield-Jackson Atlanta International Airport is 10 miles from the hotel. 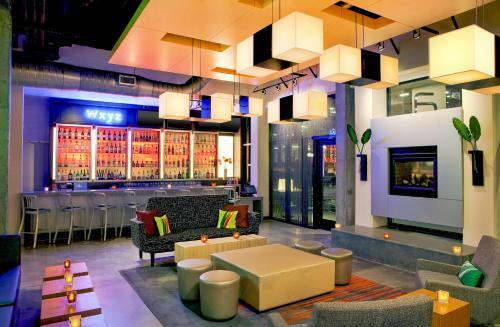 Add Aloft Atlanta Downtown to your free online travel itinerary.